Pinellas County Sheriff Bob Gualtieri, seen here in a file photo, explained his initial decision not to arrest Michael Drejka. Drejka approached the girlfriend of Markeis McGlockton girlfriend in the parking lot of the Circle A Food Store July 19, complaining that she was illegally parked in a disabled spot. McGlockton came out of the store and pushed Drejka to the ground. Video from the convenience store cameras shows that Drejka then pulled out a gun and shot McGlockton. McGlockton, 28, was African-American. Drejka, 47, is white. At the press conference, Gualtieri listed the details of Florida’s “stand your ground” law and how it applies to this situation. He also said that there are aspects of the case that haven’t been made available to the public. 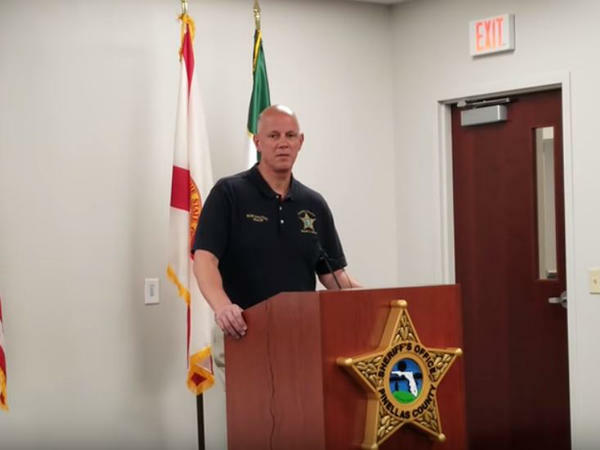 Gualtieri made it clear that this is an ongoing investigation, but he said that he may turn the case over to Bernie McCabe, the State Attorney for Pinellas and Pasco counties, as soon as "the end of this week." Gualtieri said he trusts McCabe to apply the law accurately and fairly. The NAACP could not be reached for comment.